The Dropping Dimes Foundation has made its first foray into today’s NBA, with a new high-flying member intent on making assists for those who paved his path. 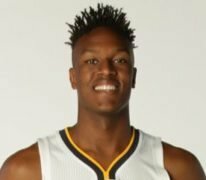 Indiana Pacers center Myles Turner, a second-team NBA All-Rookie selection last season, has become the latest Advisory Board member for the Foundation, which helps former players of the American Basketball Association who have fallen on hard times. Former Pacers players and personnel also involved in the Foundation are George McGinnis, Bob Netolicky, Bob and Nancy Leonard, David Craig and Reggie Miller. Miller holds the title of “Mel Daniels Memorial Advisory Board Member”, named for his fellow Pacer and Naismith Hall of Famer who passed away in 2015. Dropping Dimes President Scott Tarter emphasized that adding a current NBA player, especially one of Turner’s age and rising stature, is an important step for the Foundation. “We’re so grateful for Myles’ outstanding show of support,” Tarter said. “It’s critical that our message of respect and gratitude for the unsung pioneers of pro basketball extend to today’s players and fans, and Myles helps us build that bridge. 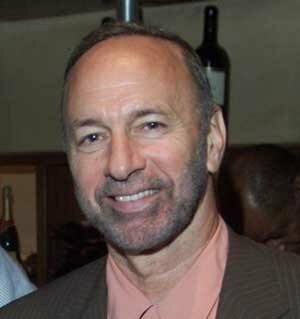 Other members of the Indianapolis-based Foundation’s Advisory Board are Naismith Hall of Famers Dan Issel, George Gervin, Spencer Haywood, Louie Dampier, Artis Gilmore, Bob Costas and Peter Vecsey, along with Mack Calvin and Brian Taylor. Turner overcame a fractured thumb that kept him sidelined for much of the early season to finish his rookie campaign with averages of 10.3 points, 5.5 rebounds and 1.4 blocks. His breakthrough game came in January on national television when he came off the bench to score 31 points against the defending champion Golden State Warriors. A native of Dallas, Turner also runs a charitable initiative called W.A.R.M. (We All Really Matter), which distributes food, personal items and blankets to those in need in Indianapolis during the winter months.